Valley Interfaith leaders met Tuesday morning during a press conference at St. Mary's Catholic Church to call on Congress and the Senate to support Dreamers by passing a permanent DACA bill. As President Donald Trump’s deadline for the expiration of the Deferred Action for Childhood Arrivals quickly approaches, Valley Interfaith leaders gathered Tuesday morning to send approximately 10,000 postcard-styled petitions to legislators in Congress. 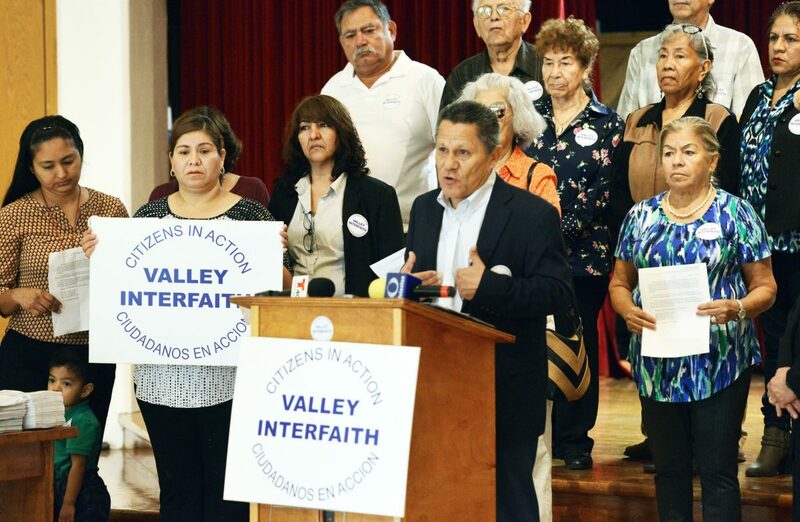 BROWNSVILLE — As President Donald Trump’s deadline for the expiration of the Deferred Action for Childhood Arrivals quickly approaches, Valley Interfaith leaders gathered Tuesday morning to send approximately 10,000 postcard-styled petitions to legislators in Congress. The Valley Interfaith contingent is calling on Congress to keep DACA as it is or to pass legislation that would provide a path to citizenship for young undocumented immigrants brought to this country as children. 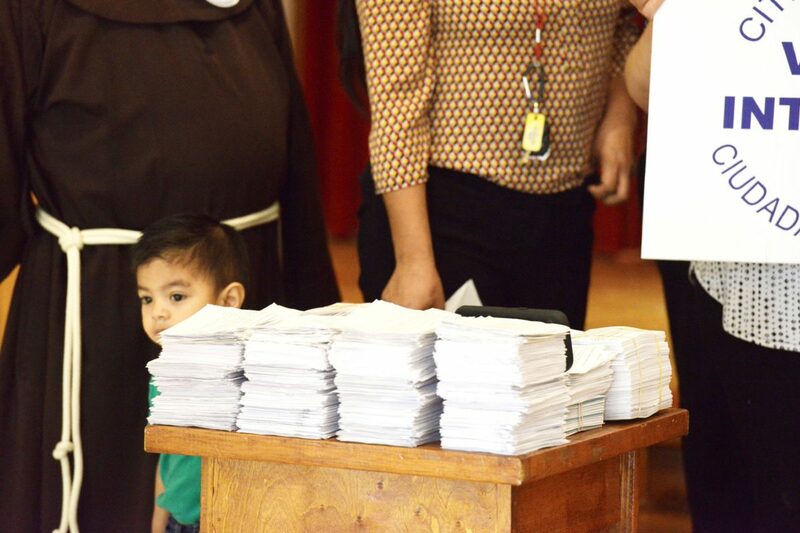 A view of 9,000 postcard-styled petitions to legilators in Congress are see at St. Mary's Catholic Church Tuesday morning during a Valley Interfaith leaders press conference to call on Congress and the Senate to support Dreamers by passing a permanent DACA bill. 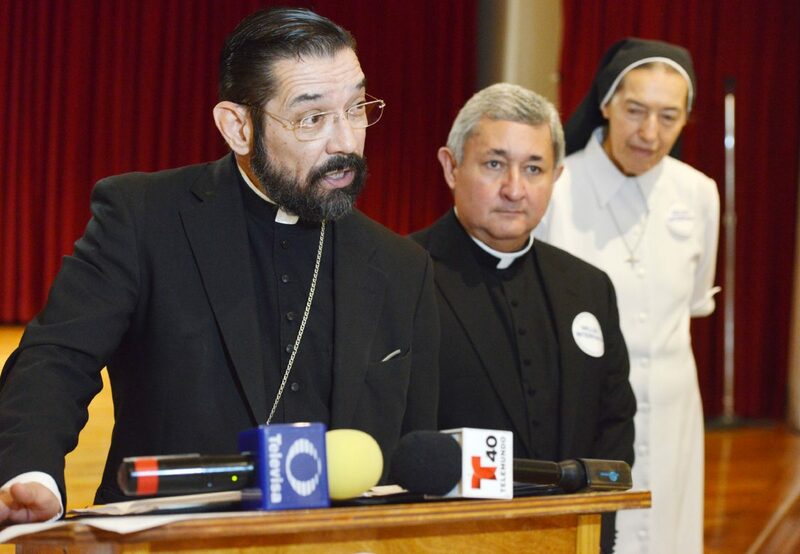 Bishop Daniel E. Flores speaks to the media during a press conference of Valley Interfaith leaders at St. Mary's Catholic Church Tuesday morning and Bishop Flores support to call on Congress and the Senate to support Dreamers by passing a permanent DACA bill. Last September, Trump scrapped former President Barack Obama’s DACA policy, which let people brought to this country work and avoid deportation. Trump has given Congress until March 5 to present him with alternative legislation to DACA, which he wants to also contain funding for border security, including funds for building a border wall. Trump also wants any bill to limit the nation’s immigration laws. Bishop Daniel E. Flores of the Catholic Diocese of Brownsville was among the Valley Interfaith leaders contingent that gathered Tuesday morning in the Parish Hall at St. Mary’s Catholic Church.